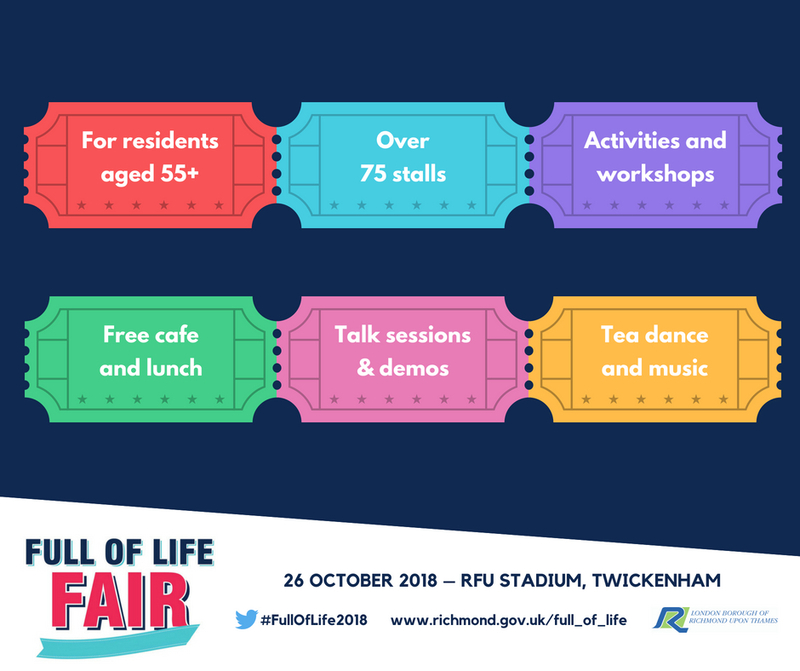 After a successful year last year, once again Debbie Slater and Keheren Therapy Richmond Upon Thames will be supporting the Full of Life Festival! The daylong event will take place on 26th October 2018 at RFU Stadium in Twickenham, TW2 7BA. Over approximately 1,700 residents and carers attend the fair annually to celebrate the contribution that older residents make to the Borough of Richmond Upon Thames. We will be proud to showcase Hydrotherm Massage among the over 80 stalls. There will be opportunities to try out a number of activities and a range of fitness, dance, and cultural performances and demonstrations. During the day, Debbie Slater, owner of will Keheren Massage Richmond be glad to give the attendees FREE Hydrotherm massage tasters. I enjoyed this event so much last year. I was overwhelmed by just how many people walked through the doors. The atmosphere was amazing and I spoke to so many interesting people. The event provides a true sense of community spirit. 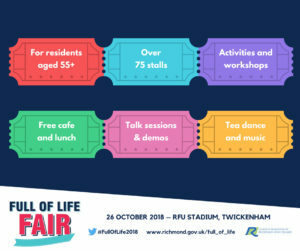 An amazing opportunity for people over 55 to see what is available to them in the Richmond Upon Thames Borough. I am particularly passionate about this event as many of my clients are in their retirement. Hydrotherm massage offers to this group the many health benefits that massage can offer, too. In fact, with Hydrotherm massage, you can receive massage whilst lying on your back on warm water filled cushions. This means no lying face down with face in awkward face holes and it makes Hydrotherm massage ideal for those with limited mobility, that cannot lie comfortably on their fronts. Therapists glide their hands between you and the water-filled cushions. It is truly a unique and amazingly comfortable experience. More is explained in this video. 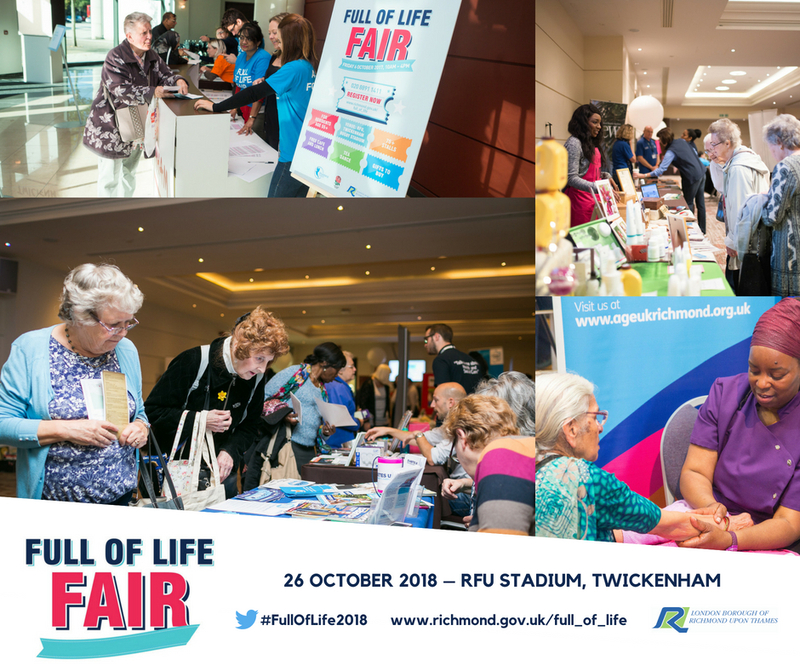 Over approximately 1,700 residents and carers attend the fair annually to celebrate the contribution that older residents make to the Borough of Richmond Upon Thames. Keheren Therapy will be proud to showcase Hydrotherm Massage among the over 80 stalls. There will be opportunities to try out a number of activities and a range of fitness, dance, and cultural performances and demonstrations.